comment The place for Hollywood-inspired fun and adventure in the Middle East. Enjoy the flexibility of an open-dated ticket valid for 6 months from purchase date. 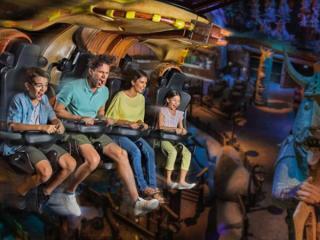 Can I visit the other Dubai Parks and Resorts attractions with a MOTIONGATE™ Dubai 1 Day Anytime Ticket ? No. LEGOLAND® Dubai, LEGOLAND® Dubai Water Park and Bollywood Parks™ Dubai all require their own admission ticket. Do children below 3 years require an admission ticket to visit MOTIONGATE™ Dubai? Children under the age of 3 can enter MOTIONGATE™ Dubai free of charge.